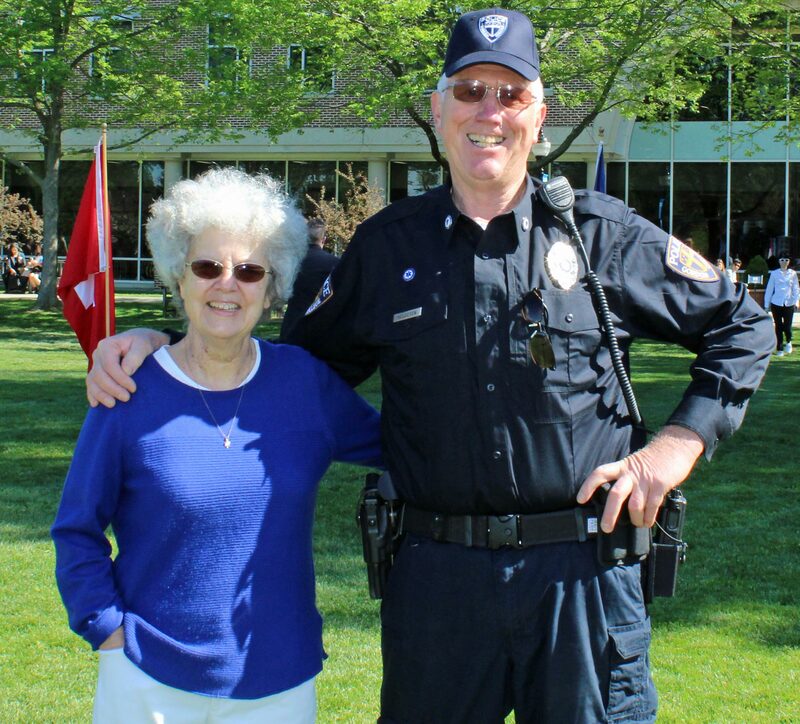 (Wenham MA) Today was Gordon’s 125th graduation. No, I haven’t attended them all! 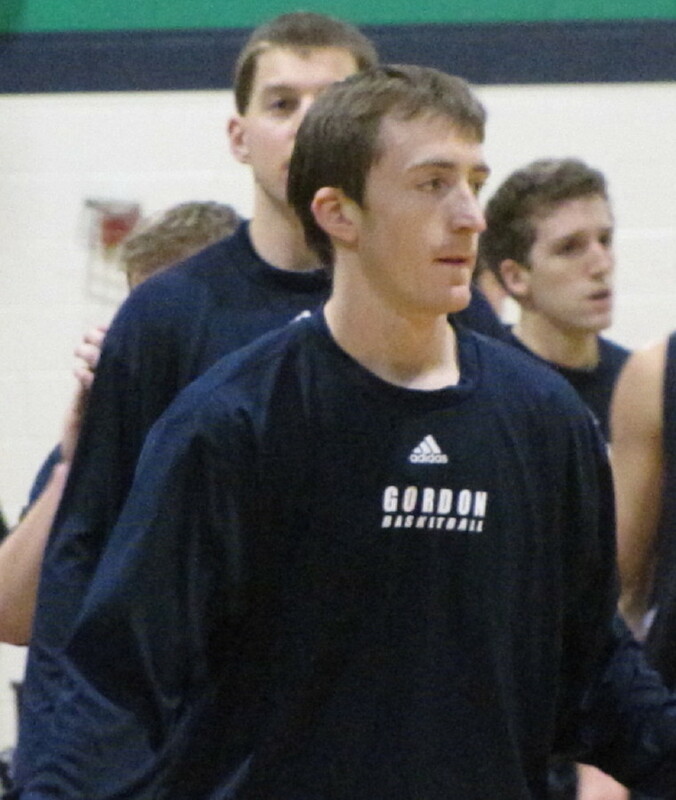 I have been covering the Gordon men’s basketball team since 2002 in the Writing Scots blog. I have seen plenty of games but also along the way have gotten to know the families that are connected to the players. 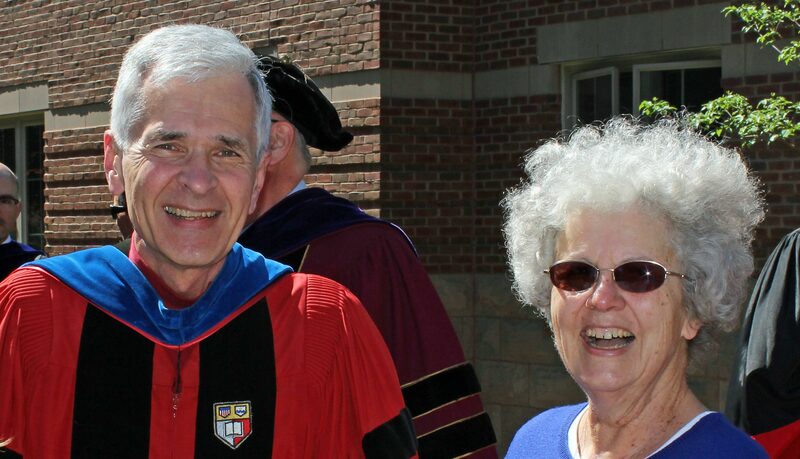 Going to graduation provides one last opportunity for my wife (Julie) and me to meet with the graduates and their families. Great weather today for the outdoor event; temps in the upper 60’s with plenty of sunshine. 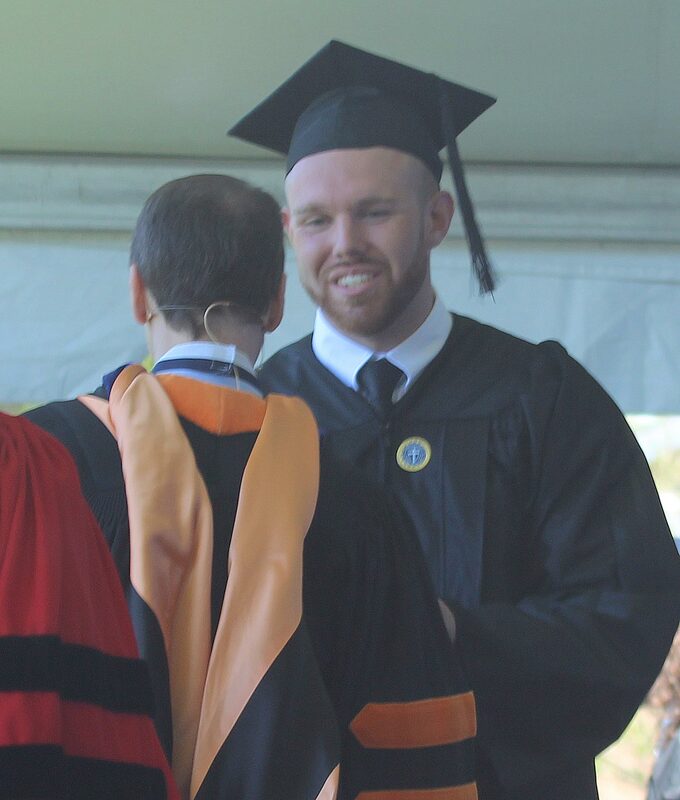 Sam Johnson was the lone graduate on the 2016-17 team. I took a picture of Sam with the Gordon coaching staff. I was surprised that they weren’t sobbing over the loss of Sam from the team! Sam was a consistent, high-energy, stat-producing player and was a key to the GC successes in his 3 ½ years with the Scots. 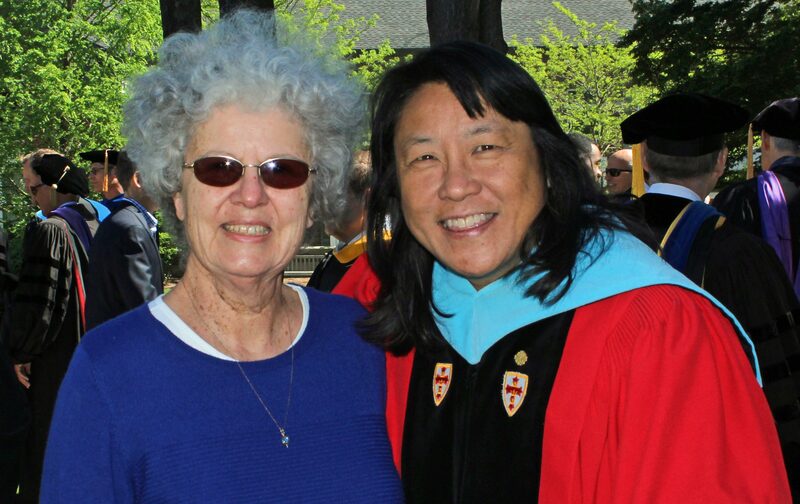 My wife and I always find folks at graduation from the faculty and staff that we know from our previous connections there. One disappointment was the discontinuance of the breakfast gathering of alumni classes before the graduation. Those gatherings annually produced people that we hadn’t seen in years. The Scots strike a winning pose after stunning Endicott in the championship game. David Dempsey - Tourney MVP after an incredible stat line in the championship game. 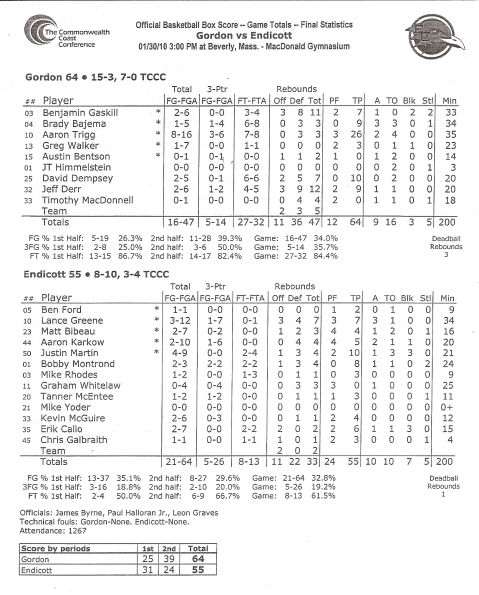 (Beverly) The (pleasant) surprises just keep coming as Gordon stunned highly-regarded Endicott, 88-74, to win the North Shore Collegiate Tip-Off championship on Saturday night at Endicott. The Scots shot off to an incredible start building up a lead in the first half that got as high as 39-16 with four minutes left. The Gulls took away a large chunk of that lead in the second half and trailed just 66-59 with nine minutes left. The rest of the way the Scots had more than enough offense to match the Gulls and pulled off the upset. David Dempsey was the MVP of the tournament. This was the sophomore’s finest game to date. Here are his numbers: 15 rebounds/25 points/6 assists/no turnovers/2 blocks/3 steals. Let’s not forget that he has a sore knee! Luke Hamilton made the all-tourney team with more good shooting netting 15 points. The freshman has already become a crowd favorite. 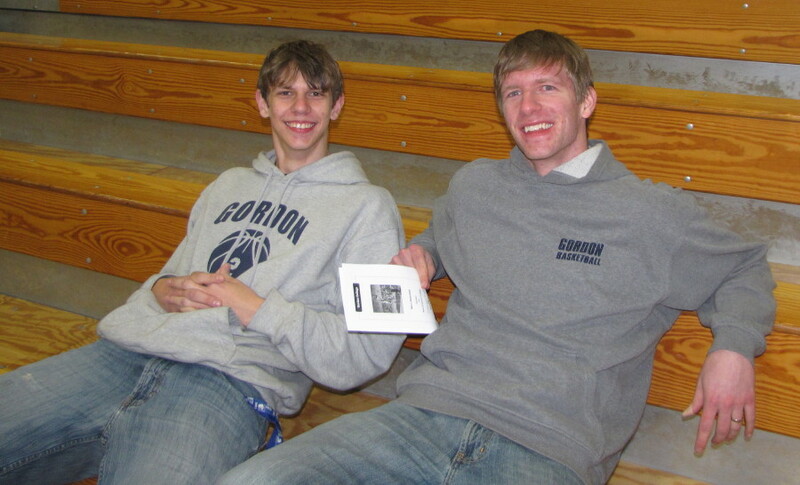 A goodly number of the Gordon students took this one in camping conveniently behind the Endicott bench. Endicott came into the game 3-0. 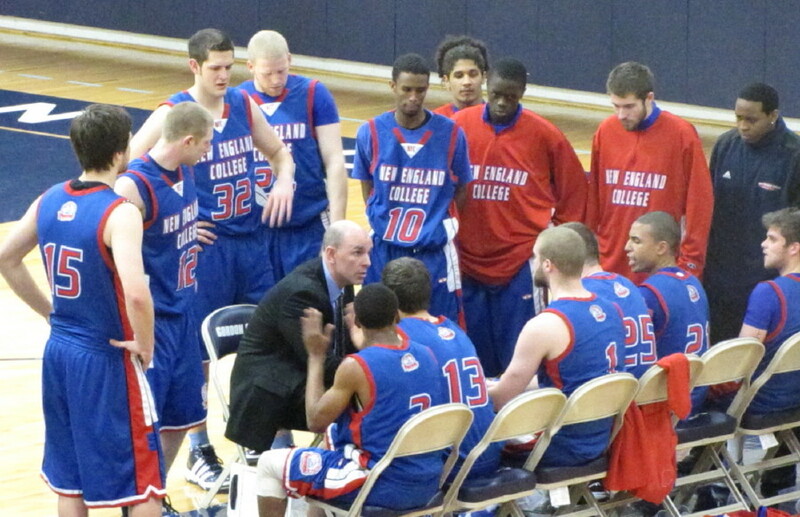 They had an amazing 60 rebounds the night before against Maine Maritime. They were picked by the Commonwealth Coast Conference coaches to finish second this season in the CCC. They were playing at home. But on this night it didn’t make an ounce of difference! The Scots (2-1) turned a 4-2 lead into a 25-4 lead with a combination of nine point-producing possessions out of ten and a defense that forced turnovers (3) and missed shots. Endicott coach Phil Rowe burned three timeouts in the first seven minutes in an attempt to cool off Gordon. 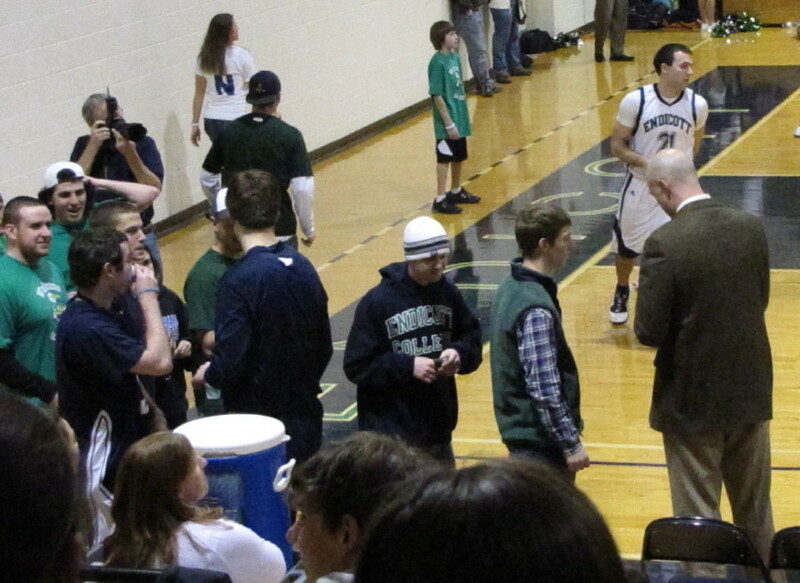 The Scots had a 47-28 lead at halftime but knowing Endicott’s reputation you wondered if it was enough. The Gulls confirmed those concerns with the first seven points of the second half with two baskets coming from Bennett Knowlton (17 points). Bennett later nailed a three to tighten things considerably to 66-59 with plenty of time (nine minutes) left. But that was as close as Endicott would get as David Dempsey, Luke Hamilton, JT Himmelstein, and Jordan Kelly answered with points that boosted the lead back up to 76-64 in the next three minutes. A killer trey by Luke from David with 3:45 to go pushed the lead to 82-68 and allowed the idea of beating a good Endicott team at Endicott to start to sink in. JT Himmelstein escapes a Gull double-team. Gordon saw full-court pressure the entire game and had some turnovers (15) but seemed to benefit from the faster tempo when they broke the press. I also think that all that pressing took the legs away from Endicott down the stretch. For the second straight game (Let’s not compare anything to that Husson game!) I was impressed with Gordon’s ability to run organized offense. This approach enabled the Scots to get the ball to David Dempsey and Greg Walker (12 points) in places where they can do damage. 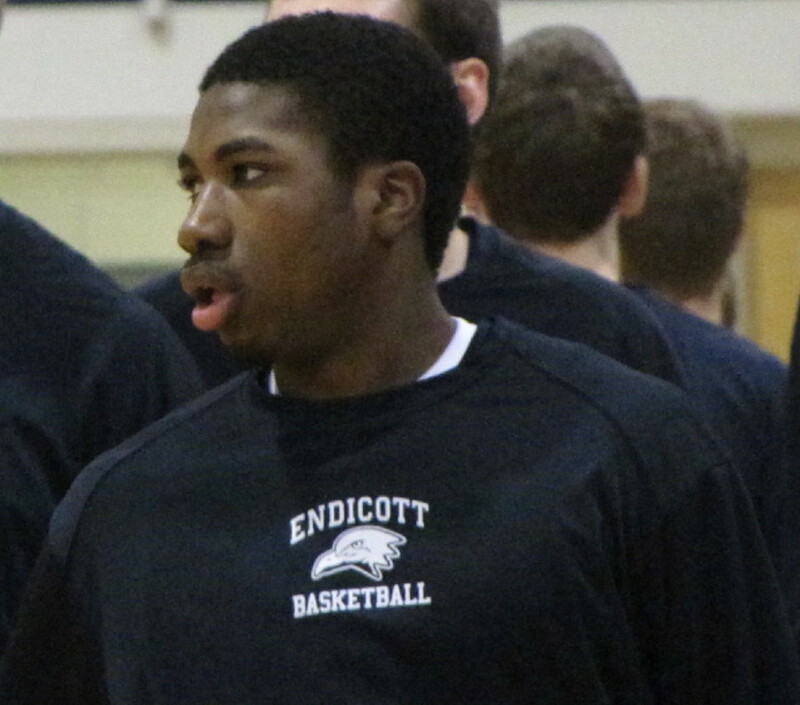 Endicott is still looking for someone to defend David anywhere on the court! Greg had several shots blocked. His real value in this game was on defense taking on Chris Galbraith. The Gulls were intent early on getting the ball inside to Chris and then creating offense from there. Greg more than held his own and Chris was held to 4 points. 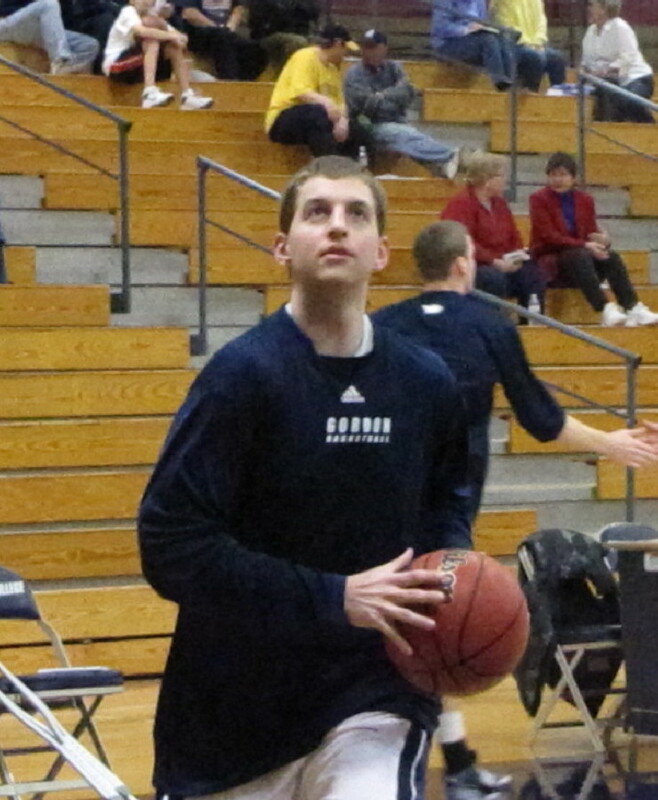 Jon Himottu (6’9”) had his longest minutes (16) and they were crucial as both David and Greg got into foul trouble. 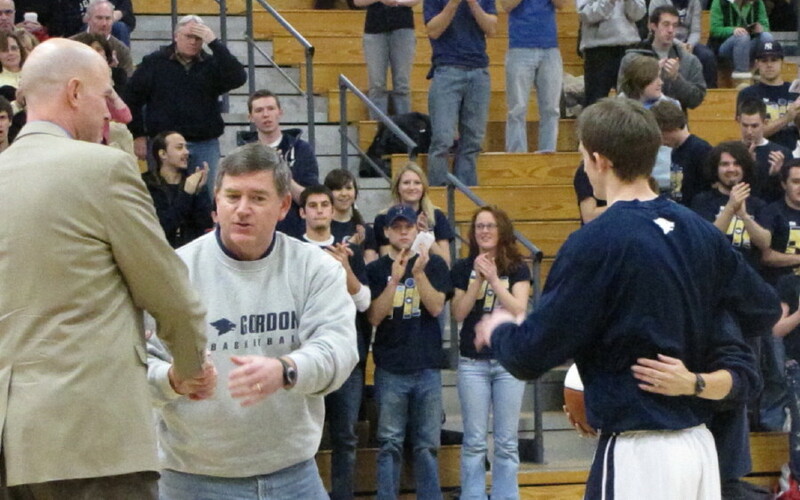 Gordon AD Jon Tymann congratulates Coach Murphy afterwards. Yes, that is Brady Bajema to the right. Next up for Gordon will be Salem State at the Bennett Center on Tuesday (7PM) followed by never-before-played Babson at Wellesley on November 30th. I will be away on my annual “Caribbean scouting trip” and will miss both games. I’m taking my computer with me and hoping that Anguilla has wireless capabilities. Nothing good to be found on the Husson scoreboard for Fighting Scots fans in the team's season opener. (Bangor) “Well, there’s only one way to go………and that’s up,” was the way one optimistic player parent put it after Gordon’s, 88-42, complete fiasco against Husson University on Tuesday night. I’ve seen almost all the Gordon games during the past eight seasons and there hasn’t been one like this one. I’ve seen losses but not in all the ways this was a loss. The Scots’ opener was a goner in the first ten minutes. Gordon turned the ball over the first time they had it and Eric Modica (20 points/6 rebounds/5 steals) blew in for a layup. The Scots hung around for three minutes trailing just 7-4 on a rebound conversion by Greg Walker and a Jordan Kelly layin. Over the next eight minutes the home Eagles ran off eighteen unanswered points from inside/outside/anywhere while the Scots responded with eight missed shots and six turnovers in fourteen possessions. This left Gordon down 25-4 (which ironically was their record last season) eleven minutes into the 2010-11 season. Jon Himottu (50) and Shaun Roach (11) saw playing time early. During this tough segment, Coach Tod Murphy pulled his starters and we saw a lineup of Luke Hamilton, Shaun Roach, Matt Gibson, Caleb Perkins and Jon Himottu. You’re going to need a program for the next game – Coast Guard at home on Friday night (6PM). The Scots trailed 47-19 at the half and I think by now you have a pretty good number picture of how things went and would go. The Husson defense was impressive. The Scots struggled to run offense that opened up shots. Greg Walker (9 points on 4-for-14 shooting) was defended by 6-10 Marc Zaharchuk down low and the Eagles sent help when Greg received a pass. The scoring load needed to be picked up elsewhere and on this night it wasn’t. The inability to run an offense efficiently was most troubling. The Scot defense will have to get better. I have seen better defense in pregame shootarounds – that’s an exaggeration! There were way too many open shots off screens, backdoor cuts for layups, and dribble penetration. Both Gordon’s offense and defense are correctable. It will take time and plenty of coaching I suspect and both are available before the Commonwealth Coast Conference schedule starts in January. Starter Jordan Kelly took a charge in the second half and staggered off the court. He did not come back. I’m wondering about his availability for Friday’s home opener at the Bennett Center versus Coast Guard. 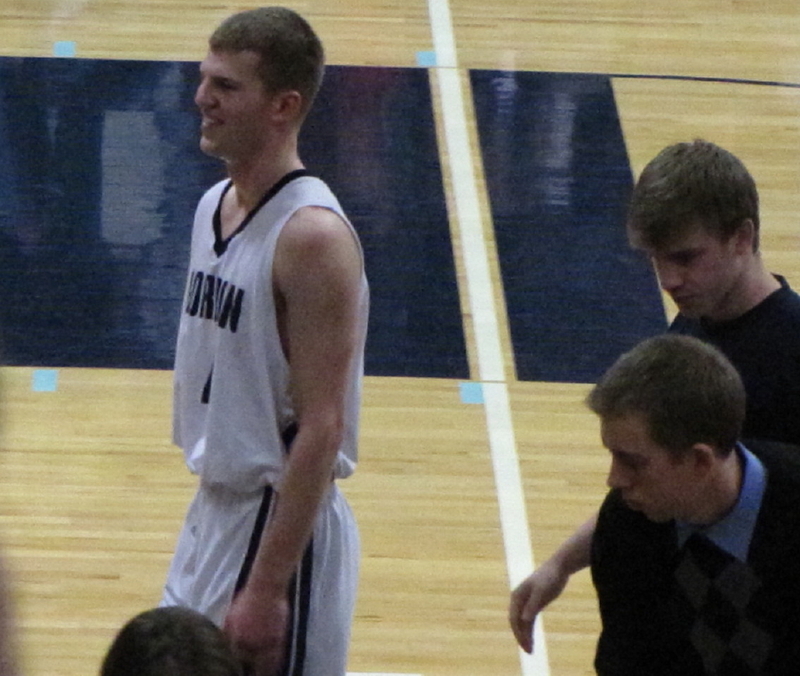 Jay Uhrin led all scorers with 22 points. 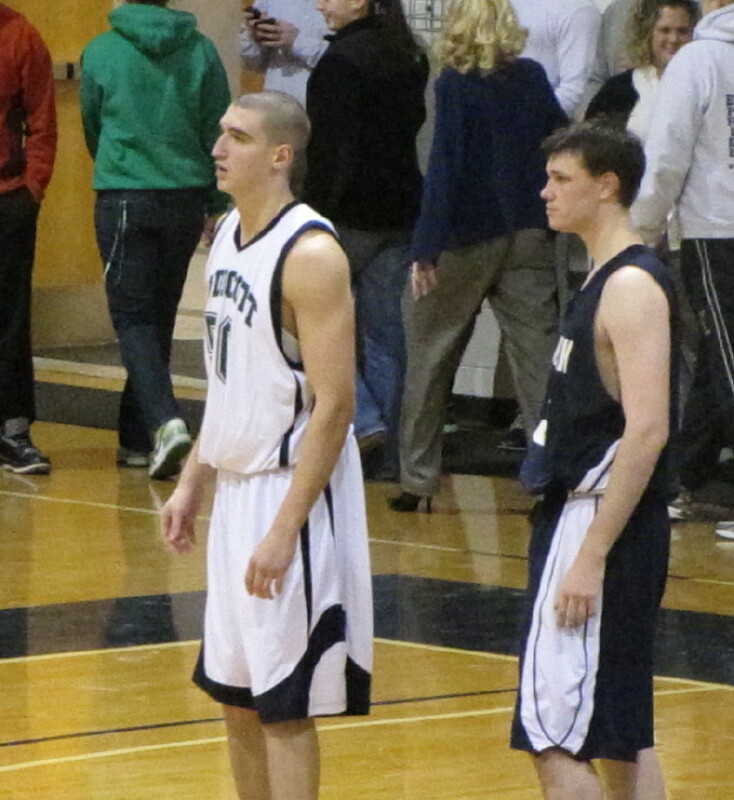 Jay Uhrin (22 points) and Eric Modica (20 points) had open shots that shooters dream about. Husson passed the ball inside frequently and from there set things up for their scorers depending on the Gordon defense. The Eagles shot 50% (33-for-66) from the floor. The crown was sizable but surprised me by leaving in large numbers with nearly five minutes left. Maybe they needed to study? There were actually radio timeouts during the game. What this particular game didn’t need to be was longer! Husson had the first-game glitch of having a box of the game include some of their graduated players – note the scratch outs on the box I’ve included. Husson had a mascot, some sort of band, and cheerleaders. Several parents made the trip to Bangor. I found the Olive Garden, Best Buy, and Borders before the game. 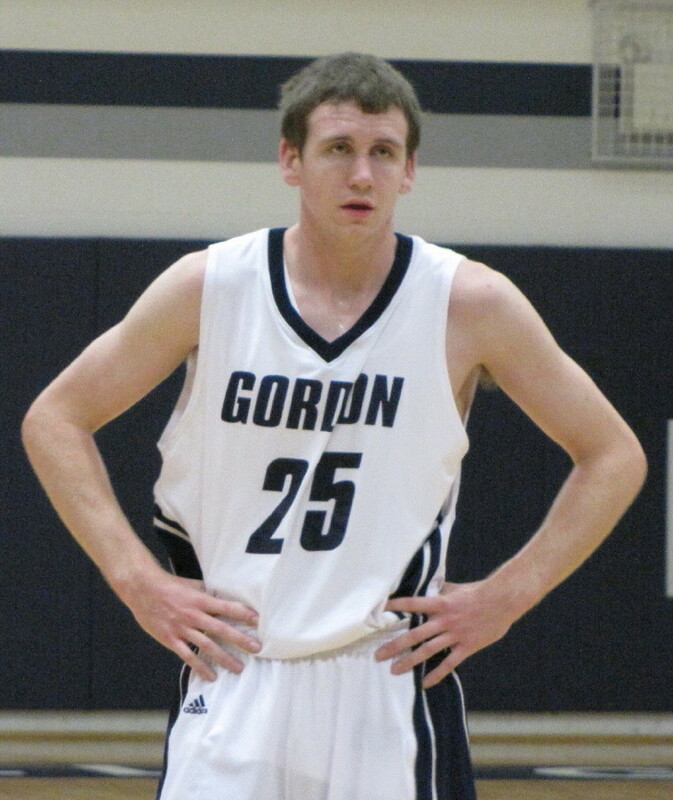 Gordon had won the last two meetings with Husson. The previous two were won by Husson. I missed the game in Bangor two years ago but two years before that I was there to see little-used freshmen, Jeff Derr and Brady Bajema, get some playing time. Brady is now on the coaching staff. I wonder what he thought of this game? Aaron, Mike, Tim, Ben, Brady, Justin, and Ben do some post-graduation posing. 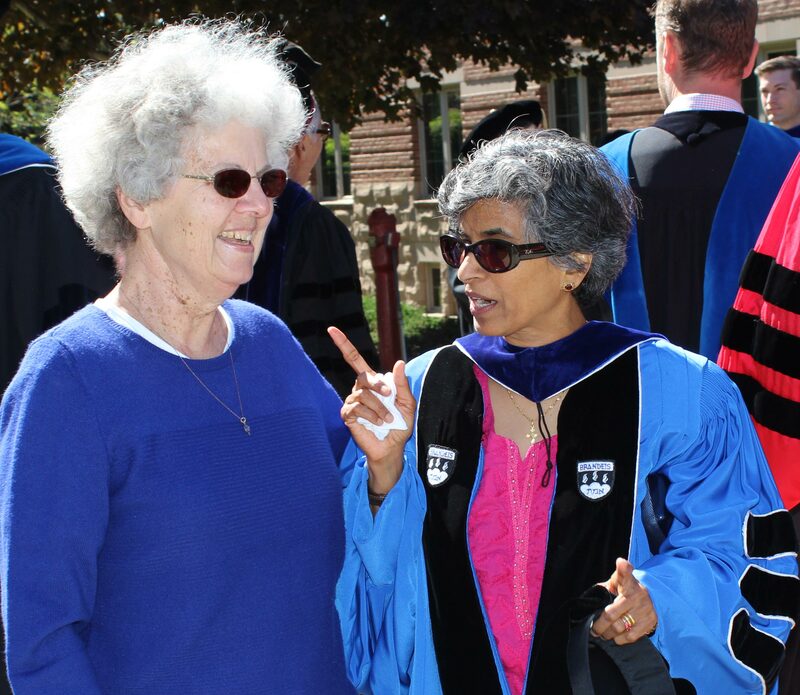 (Wenham) I was there and I can confirm it – they graduated! 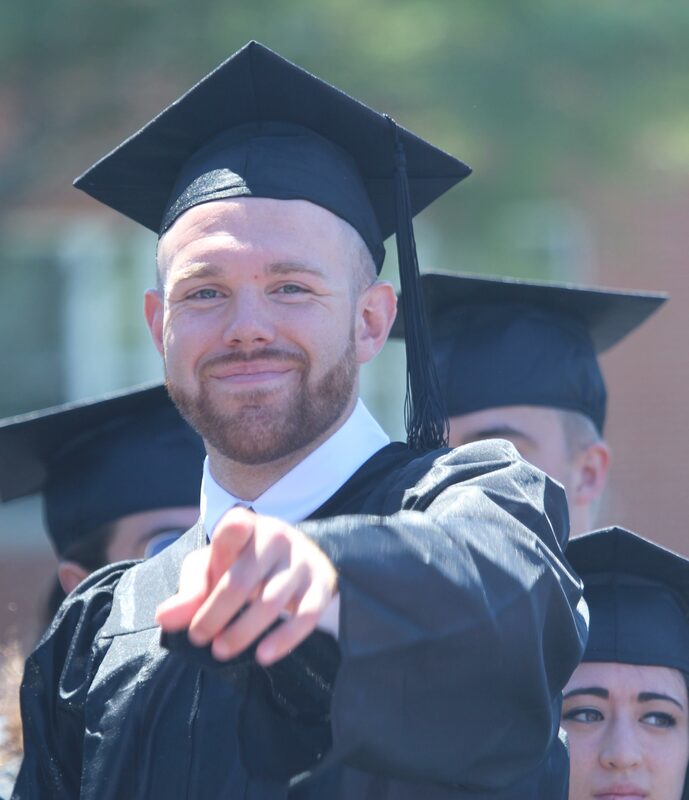 Aaron Trigg waits to march to graduation. 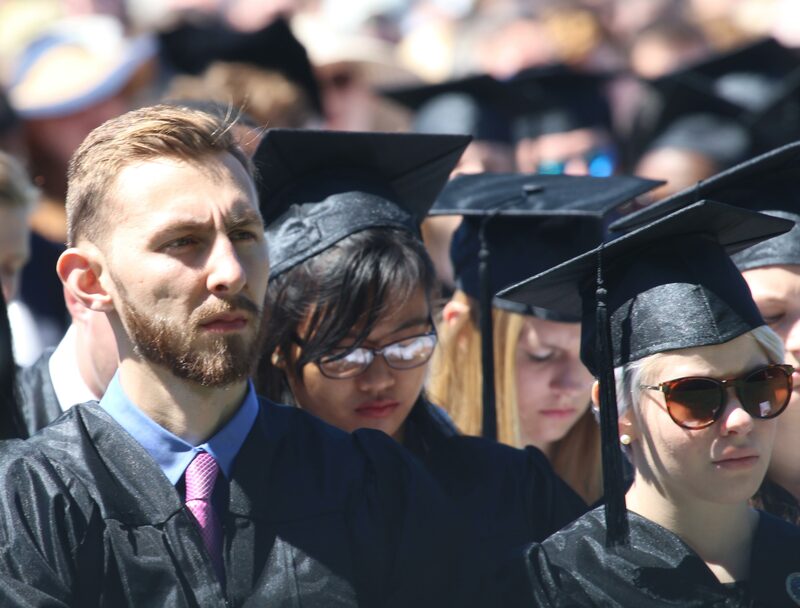 I was at Gordon on sunny/breezy Saturday morning (May 15th) and watched Jeff Derr, Aaron Trigg, Brady Bajema, Tim MacDonnell, and Ben Gaskill end their four years among us. Last time I saw the five of them together was in March in Middlebury (VT) when the home team took out our Scots in the NCAA D3 tourney. 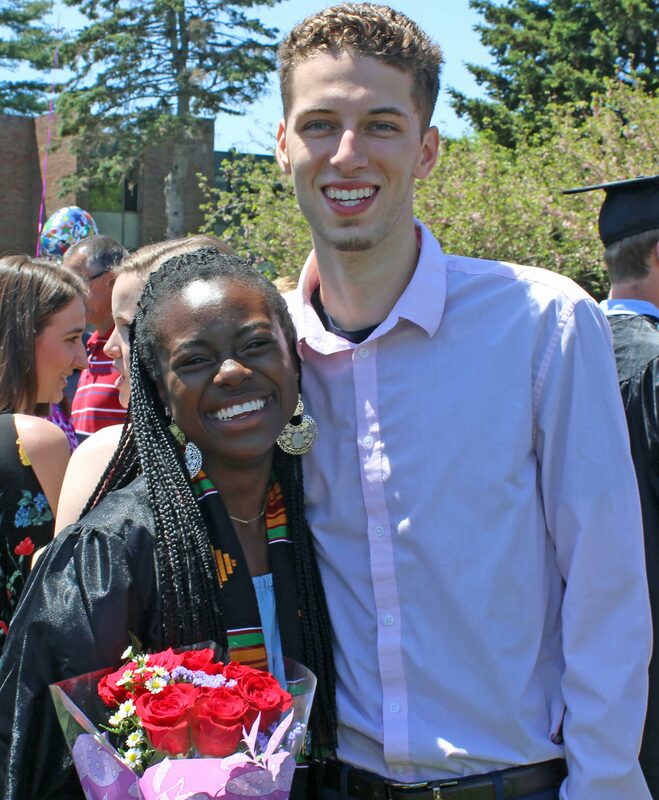 Who knew that Middlebury’s Andrew Locke would block thirteen shots and send Gordon to a first-round exit? 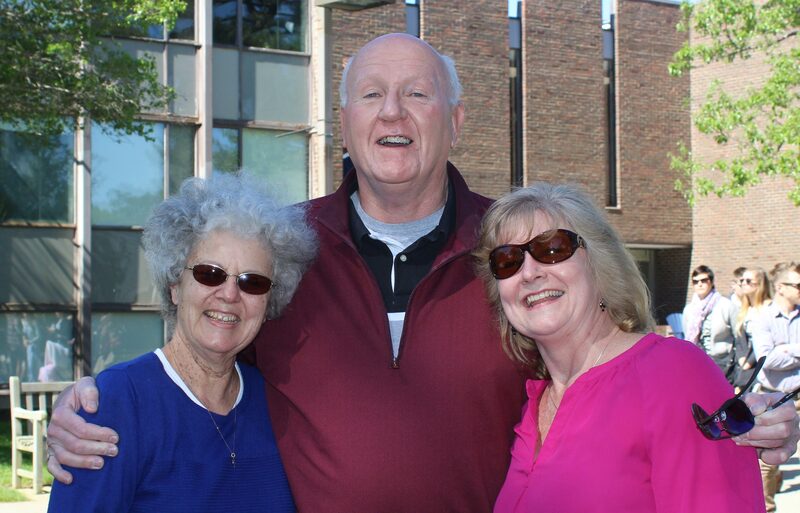 It was good to see all the players’ families together for one last time. You always imagine that there are games ahead that they will attend but it seldom, if ever, works out. There was talk of everyone getting back together when the CCC tournament banner is put on display in the Bennett Center during the 2010-11 season. That would be special. 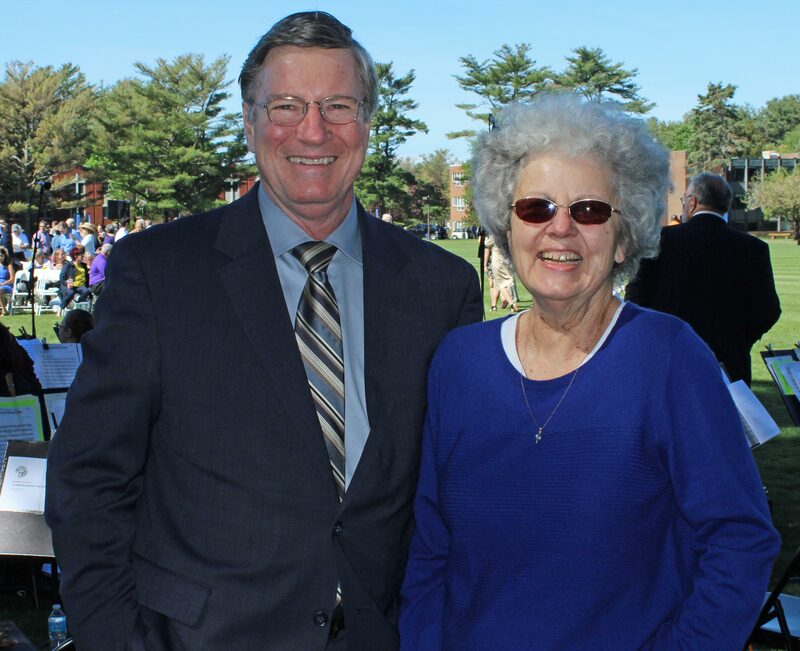 I was very impressed with commencement speaker Jim Cymbala. 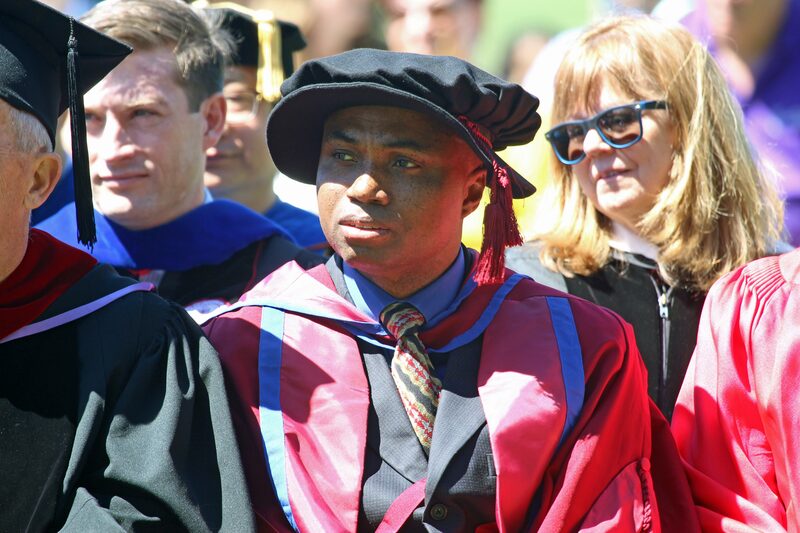 It wasn’t just the brevity of his remarks but the topic – the importance of prayer. There was something there for all of us! Coach Tod Murphy waves to seniors. 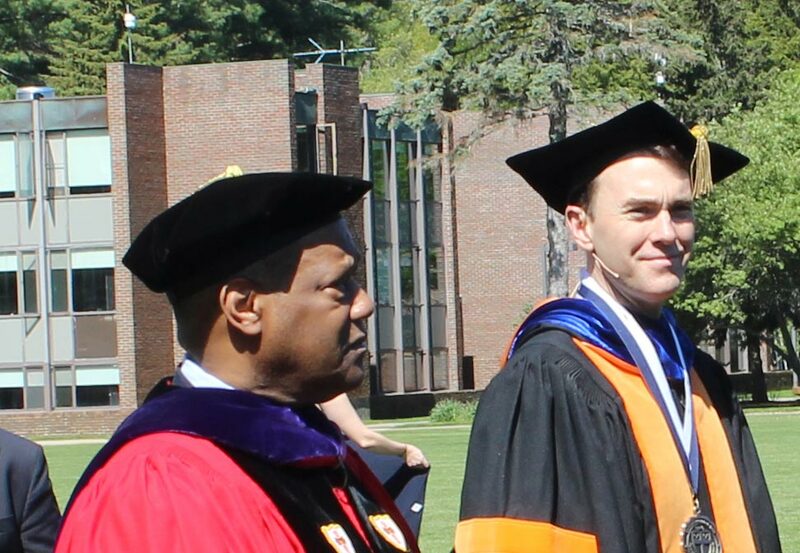 One comment that previous Gordon coach Mike Schauer used to make to me when I mentioned a talented player on an opposing team: “The important thing,” he would say, “was to make sure he graduates.” And here is Tod Murphy at graduation, probably hoping that Aaron, Brady, Tim, Jeff, and Ben weren’t graduating! Anyone on board knows that there are big changes ahead. For starters, look at the team picture on Championship Saturday and delete the front row. 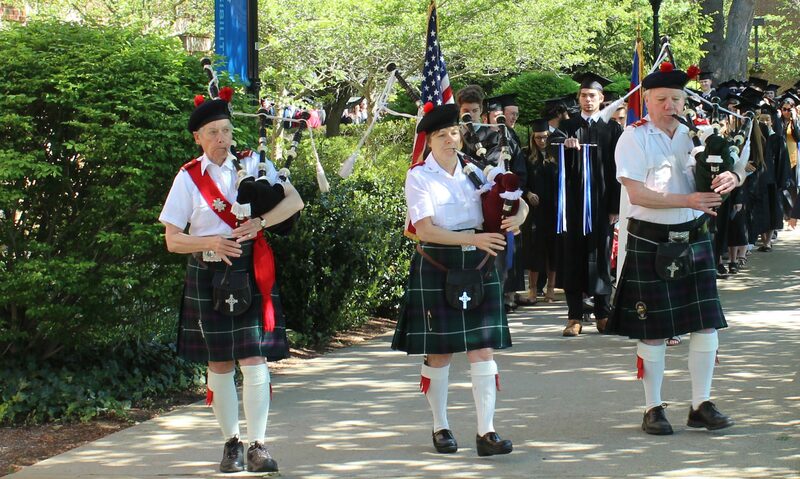 However, one of the trademarks of your Scots over the past eight seasons has been to graduate players yet still be able to qualify for the CCC tournament (top eight) every season. Let’s be optimistic here! The other significant change, other than the roster, is the future of the CCC. 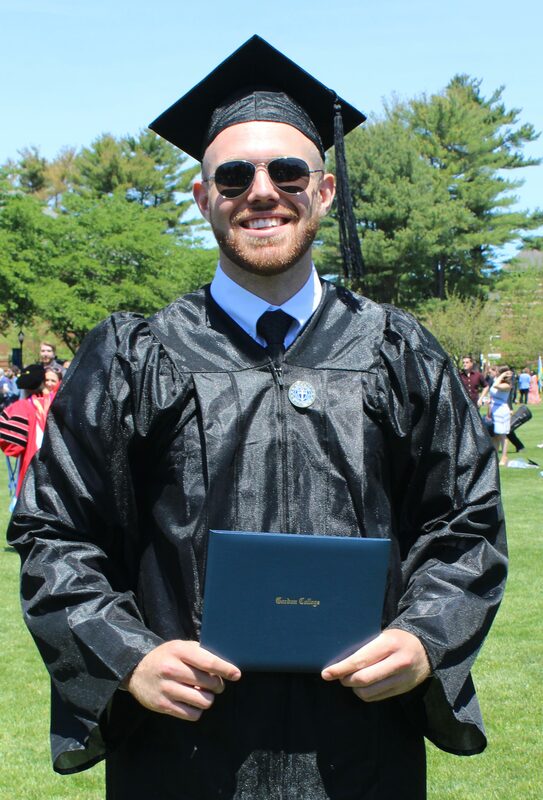 My understanding is that in two seasons Gordon and eight other schools (UNE, Endicott, Salve Regina, Roger Williams, Nichols, Curry, Western New England, and Wentworth) will form a new conference. That will leave Regis, New England, Colby-Sawyer, Anna Maria, and ENC out in the cold for reasons I choose not to guess at. It will be interesting to see how this all works out. Anyhow, God bless Aaron, Brady, Tim, Jeff, and Ben. And God bless your families as well. (Wenham) Brady Bajema tallied 23 points, including the three that put him over 1000 career points, as the Scots (17-3/9-0) defeated Nichols (10-10/3-6) at the Bennett Center, 62-49, on Saturday afternoon. That’s thirteen straight and counting in this remarkable season. Before the game, Aaron Trigg was given a basketball commemorating him getting to 1000 points in a game played last February 10th. 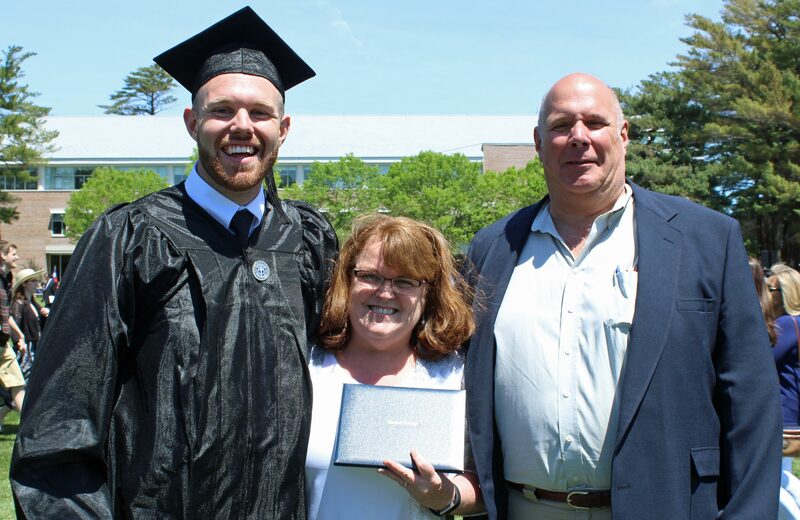 Aaron’s parents joined him as Coach Tod Murphy presented the special basketball. My picture-taking abilities fall off considerably when the subjects don’t cooperate. Young and old from Whitinsville Christian (Brady’s high school) were on hand hoping to see Brady get the three points he needed. He did not disappoint as he nailed a long one on his first shot 1 ½ minutes into the game. Fortunately, for Gordon, that wasn’t the end of his scoring because Nichols defended the Scots other two top scorers (Greg Walker 5-for-15 and Aaron 2-for-12) into lower than usual production. 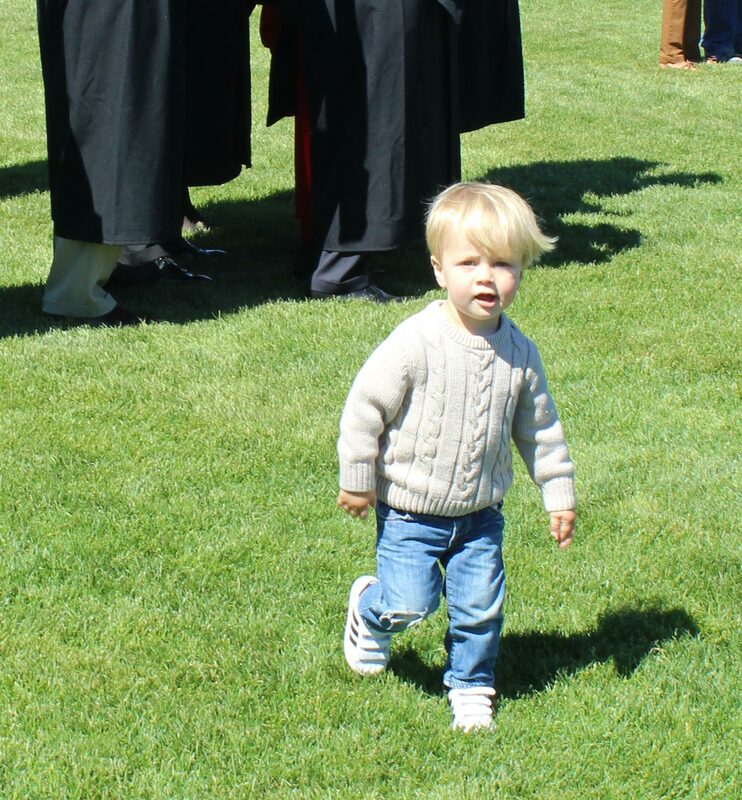 However, good teams have other options and on this afternoon, it was Brady, who actually was caught smiling afterwards. I was told that a picture catching this would be a rarity. While Brady had fourteen in the first half, the Bison had Pete Atkin’s 16 over the same half and the teams were tied at halftime, 25-25. Freshman Justin Kuntz gave Nichols its last lead, 31-30, with a jumper at 14:49. The next 3+ minutes the Scots put together an eight-point run. David Dempsey hit a couple of shots and Brady added a jumper in the lane. It was, however, Jeff Derr’s offensive rebound conversion that excited the lively home crowd the most. The lead grew to ten (50-40) with five minutes left on another David Dempsey inside move. Have I mentioned that he is a tough matchup for most teams – too big for fast defenders and too fast for big defenders? 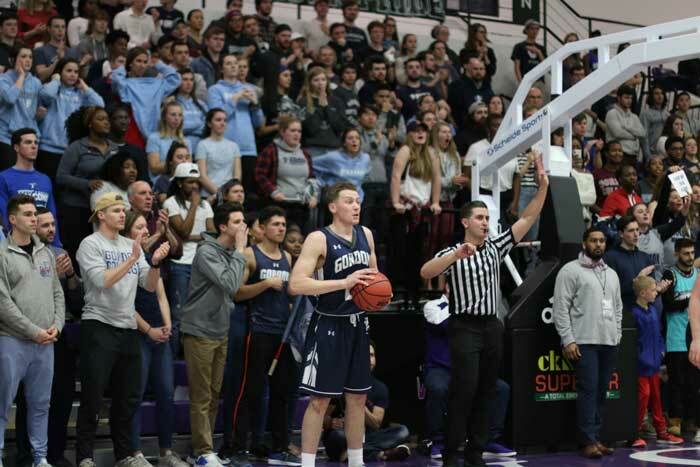 The Scots then hit eight of eleven free throws in the last two minutes of the game to keep Nichols from getting closer than nine points in the end game. The Bison struggled mightily to find any kind of offense in the second half. Credit the Gordon defense for a lot of that. Good defense always forces a team into one-on-one offense with few assists. Imagine this: Nichols had zero assists in the second half! 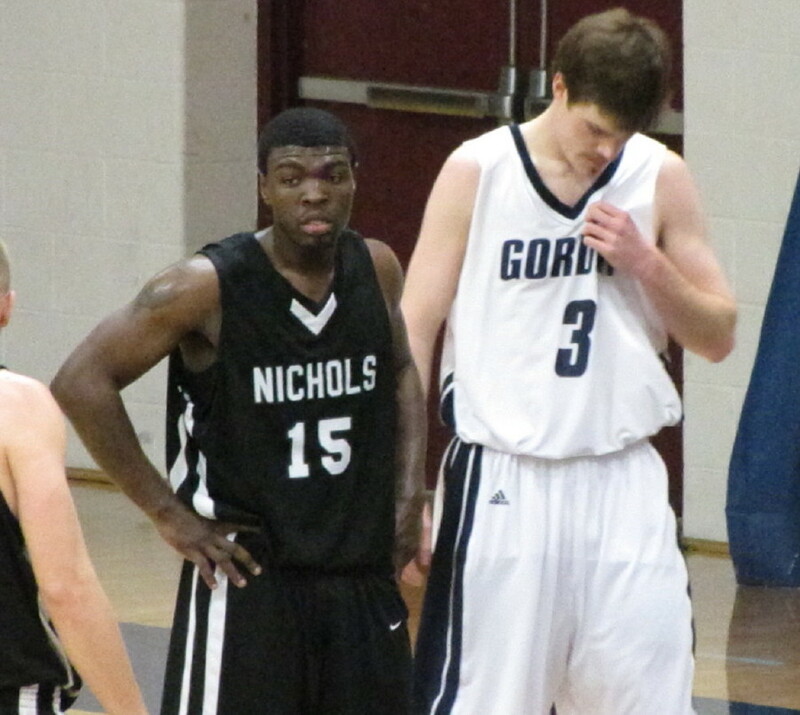 Pete Atkins paced Nichols with 18 points but had just two of them in the second half. He did take a hard fall midway through the second half but returned to play some more. 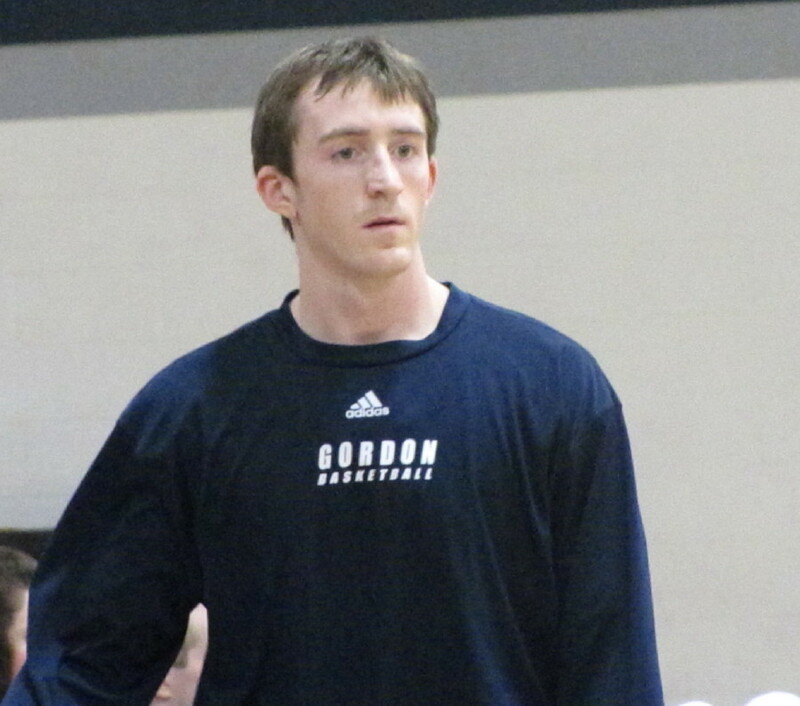 Ben Gaskill (6’9”) did a nice defensive job on the 6’3” sophomore. I am getting more and more comfortable with Gordon’s ability to handle fullcourt pressure. The Bison pressed some but never got a backcourt turnover doing it. Gordon’s next three games are on the road and what a road trip it will be. New London(NH) on Tuesday, Lewiston(ME) on Thursday, and Chicopee(MA) on Saturday afternoon. That’s a lot of miles over a five-day stretch against very good teams in Colby-Sawyer, Bates, and Western New England on their home courts. That schedule means some early AMs for those of us planning, Lord willing, on being in the audience, but after thirteen straight who wants to miss any part of this extraordinary season by not being there. Not I! 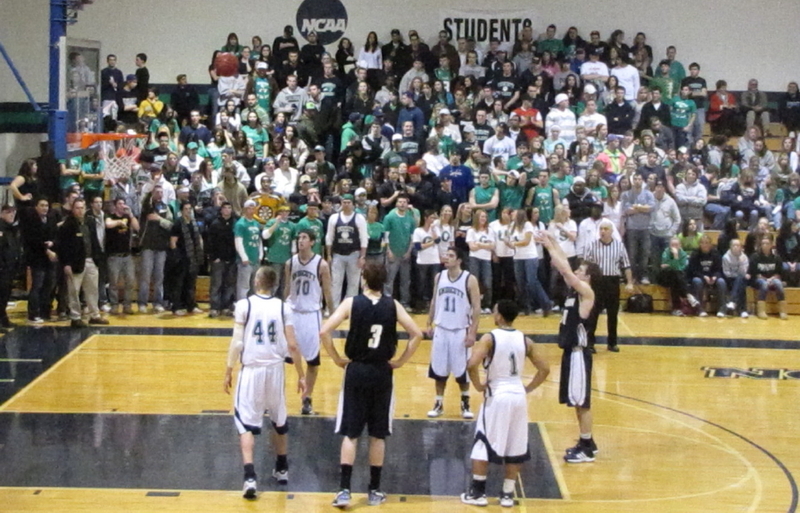 Aaron Trigg (26 points) puts some free throw icing on Gordon's victory cake as the Endicott cheering section looks on. That’s three straight at Endicott and this time it didn’t take a long-range prayer to do the trick, as it had required in the previous two matchups at Beverly. What is took, was a collection of Gordon senior moments over the last 2:41 that turned into a tie-breaking, game-winning 12-3 run. Gordon (15-3/7-0) has now won eleven straight. Next is Regis at home on Wednesday night (8PM). The Pride (8-11/4-3) has lost three straight but have a win in January over Colby-Sawyer. Not to be taken lightly! The crowd was incredible on both sides (estimated at over 1200) and loud music wasn’t required to simulate noise, which is the way it should be. 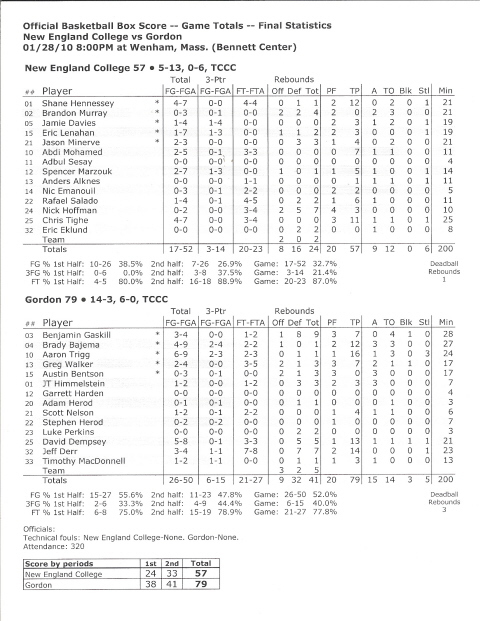 The win by Gordon avenged a 71-68 loss at the Bennett Center in early December. In that one, the Scots trailed early, rallied all the way back from a 17-point deficit to tie, and then couldn’t finish the job in the last 1:10. This time around the Scots once again trailed early (27-13) after six minutes, battled all the way back taking their first lead (43-42) after nine minutes of the second half on two David Dempsey free throws. The teams traded baskets until Bobby Montrond notched two free throws to tie things with 2:41 to go. 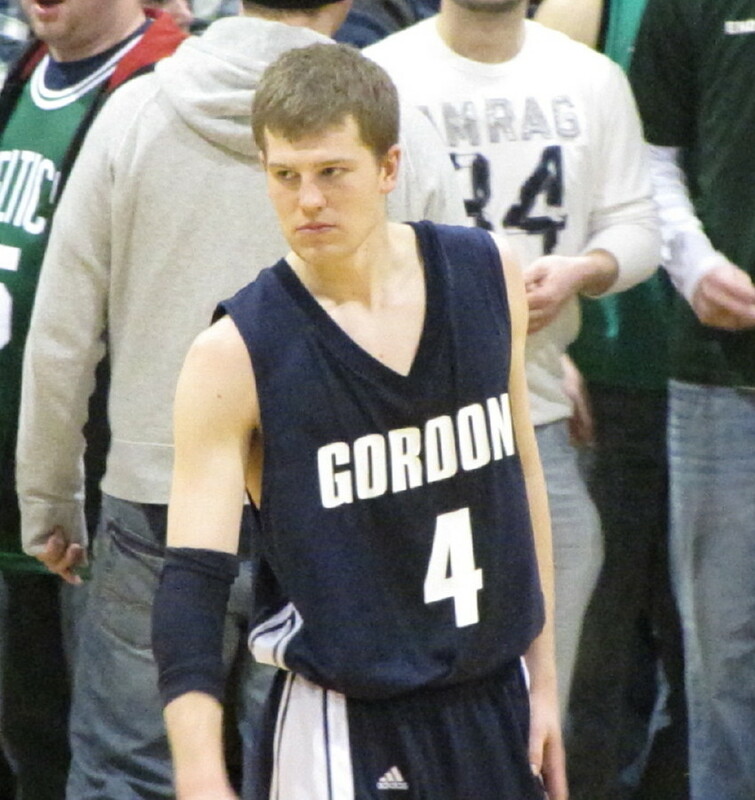 After that………..it was one Gordon wonderful senior moment after another carrying the Scots to the win. Aaron Trigg (26 points) collected nine straight points from every location – three free throws, two layups, and a three. Ben Gaskill (7 points/11 rebounds) had a steal and a block. Jeff Derr (9 points/12 rebounds) had an assist and a rebound. 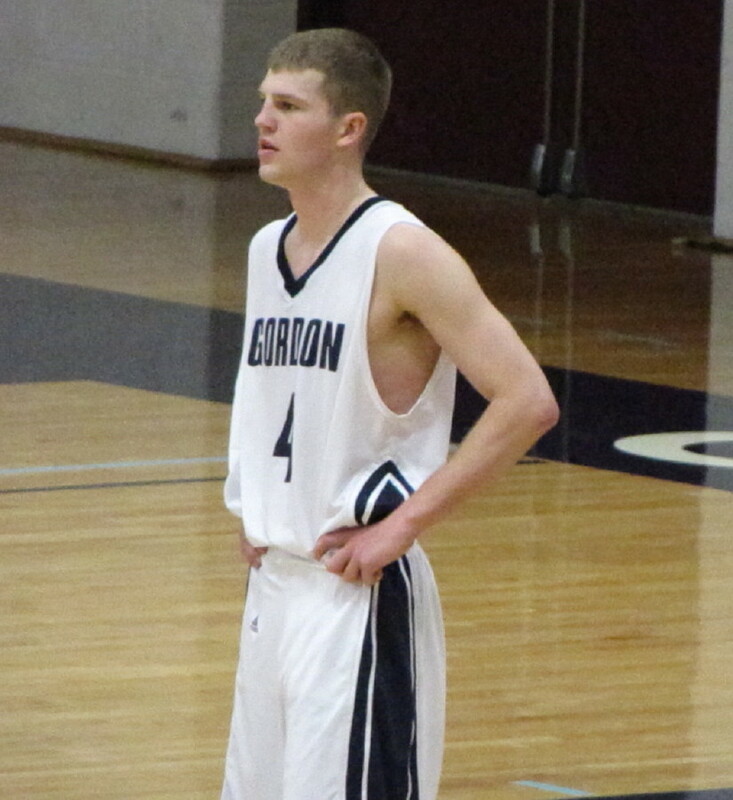 Brady Bajema (9 points/3 assists) had an assist and two free throws. No wonder the Gordon crowd was chanting, “It’s all over,” as the game-clock wound down with the Scot lead getting larger and larger after each possession. Endicott (8-10/3-4) seemed convinced that they could win this game from long range despite the accumulating stats indicating otherwise. The Gulls were 3-for-16 from downtown in the first half and added 2-for-10 onto that in the second half. In fact, in the second half they went eighteen minutes between made 3’s. You can live by the three’s and, well you know the rest – Lance Greene (1-7), Aaron Karkow (1-6) and Kevin McGuire (0-3). 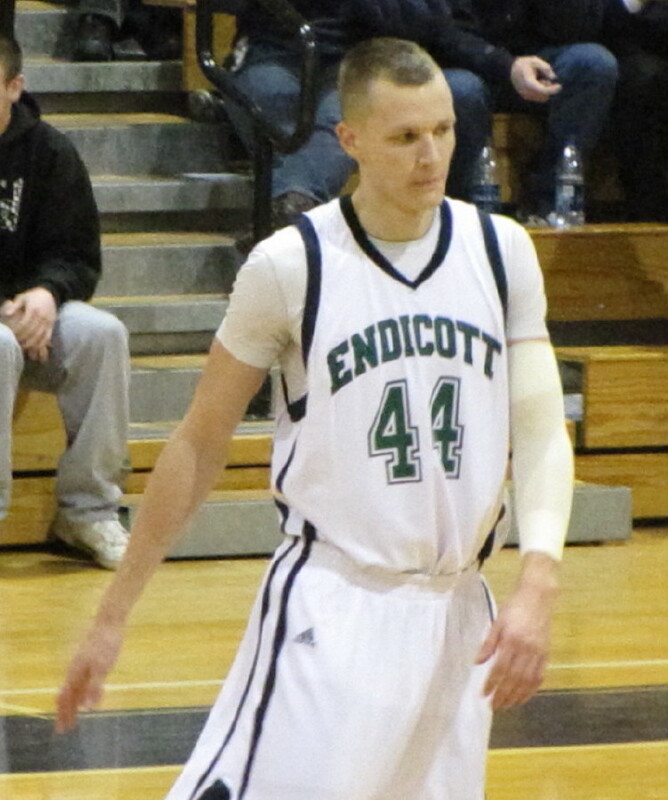 Justin Martin (10 points) kept Endicott close late in the game. I came away impressed with the play of Justin Martin (6-8 junior). He led the Gulls with ten points and had eight of them in the second half in a row when the outcome was in the balance and his teammates put away the 3-ball. Probably more impressive was the job he did on Greg Walker (13.2 ppg). He muscled Greg away from his comfort spots in close to the basket and held him to just three points. But Gordon had other players pick up the scoring slack. David Dempsey had all of his ten points in the second half. Add Endicott to the list of teams trying to cover him with a smaller player and paying the price. Jeff matched a career high in rebounds (12). Last time? A blowout win versus Wheelock when he was a sophomore. 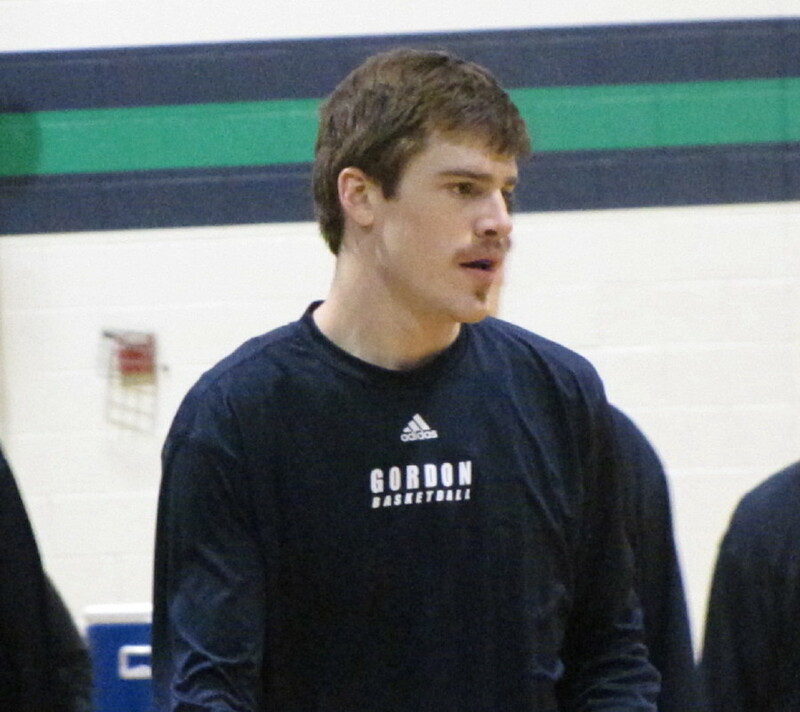 During this game, however, Ben got the, “Shave your moustache,” chant which not everyone would disagree with. Coach Tod Murphy signs during warmups. During warm-ups, I had a file for the never-seen-that-before drawer, as Coach Tod Murphy signed autographs for Endicott students in front of the team bench. A conspiracy theorist from Kansas noted that Endicott opted to use the bench that Gordon normally uses. Why? So, according to the theorist, any last-minute 3’s that Gordon attempted (they won the last two years on such shots) would be taken from in front of the Gull cheering section. However, by switching benches the Gull team ended up in front of the vociferous Gordon cheering section that really turned up the volume during timeouts. Maybe next time Endicott will relocate their cheering section. Another significant second half plus was rebounding. Close in the first half (21-19) but the Scots turned dominating (26-14) in the second half. It sure helps when both Ben and Jeff reach double figures. Another noticeable stat was free throws. Gordon usually shoots from the outside unless Greg is open inside. In this game, though, a tight exterior Endicott defense forced Gordon players to create their own openings – there were only nine assists. The result was foul after foul by the Gulls and Gordon getting into the bonus early. The Scots took full advantage connecting on 27 of 32. The Brady 1000-point watch is now at 994. Another reason to show up at the Bennett Center on Wednesday night for the Regis game. 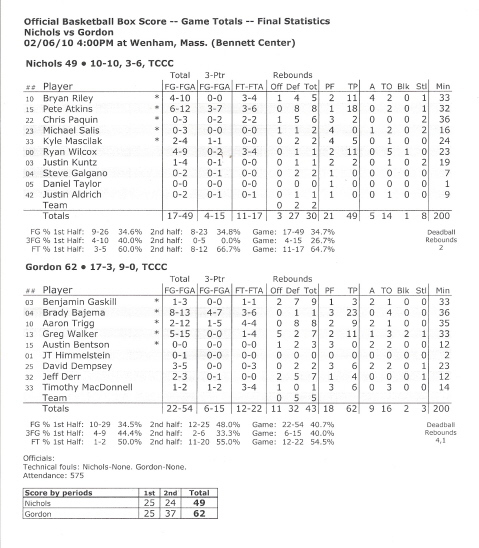 (Wenham) Make that ten straight for Gordon (14-3/6-0) as they defeated New England College, 79-57, in Commonwealth Coast Conference play on Thursday night at the Bennett Center. The visiting Pilgrims actually outscored the Scots, 28-27, over the last 13 ½ minutes of the game but unfortunately for them, were trailing 52-29, when those last 13 ½ minutes started. New England (5-13/0-6) has now lost ten straight. Now we get to the circled game on the schedule – the rematch with Endicott at 3PM on Saturday. 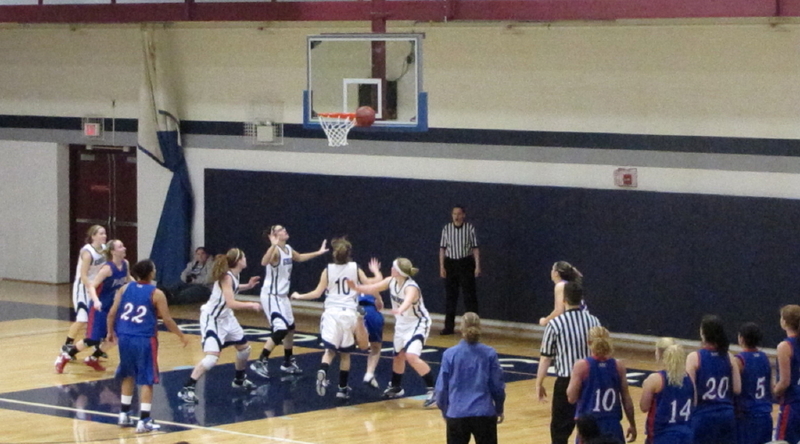 If you recall, or checked this blog, the Scots and the Gulls were tied last time at the Bennett Center with 1:10 left. Crunch time belonged to Endicott. Also of note is that Endicott defeated Roger Williams tonight. And of further note, the last two times over there, Gordon has won at the very end on shots from the same corner (first corner when you enter the gym). Plan on an exciting afternoon. Meanwhile, back at the game I’m supposed to be writing about, Brady Bajema and Greg Walker carried the Scots to a 12-4 advantage in the first 4 ½ minutes. How many games have we seen Greg be a big contributor in the early going? Teams seem to want to give single coverage a chance. Later in the first half, David Dempsey and Jeff Derr combined for eleven points in an 11-2 spurt and the Scot lead was 26-12 with 8:25 left. JT Himmelstein had two assists during this run. The lead was fourteen (38-24) at the half and the same (43-29) after three minutes of the second half. 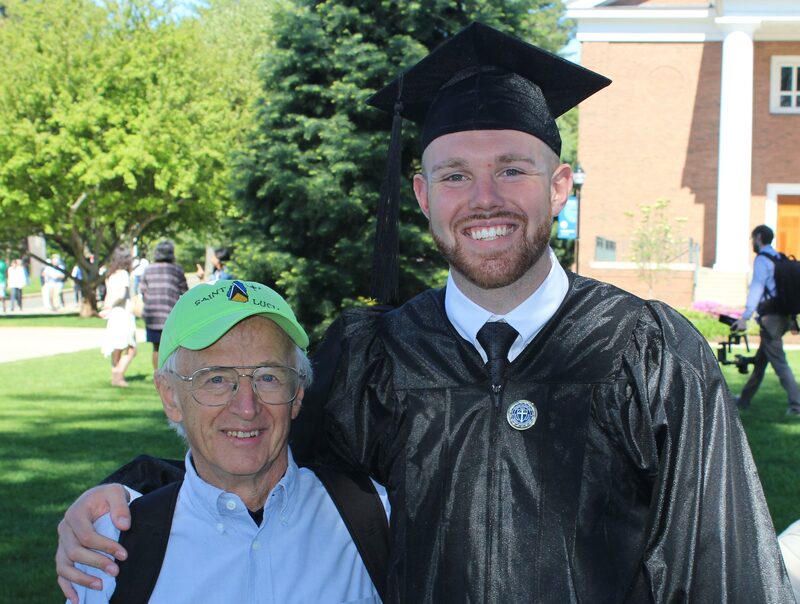 You doubted that NEC had the firepower (top scorer Joe Faragher wasn’t in uniform) to get closer but their deliberate style was keeping them closer than you would expect from a team on a nine game losing streak. Then an extended cold spell (3 ½ minutes) did in New England, as Ben Gaskill, Aaron Trigg, and Brady put up points in a nine-point run. Now the lead was 52-29 with 13 ½ minutes remaining and the bench clearing started. Coach Tod Murphy went heavily with reserves the rest of the way and hopefully saved the legs of his starters for the visit to Beverly on Saturday. 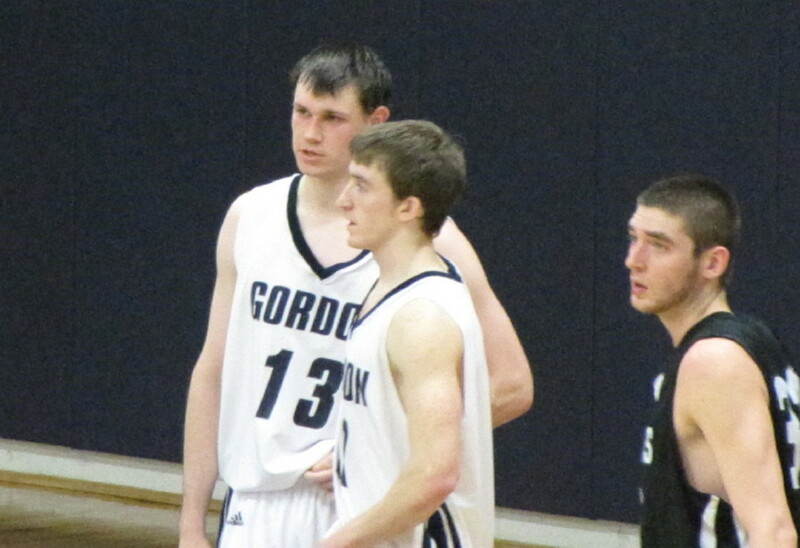 Aaron (16), Jeff (14), David (13) and Brady (12) paced the Gordon scorers. Those interested in the Brady 1000-point number – he currently is at 985. Most exciting play of the game? A second half NEC turnover sent freshman David Dempsey off on a breakaway. Expecting a simple layin, those on hand were greatly surprised to see him dunk the ball. It is easy to forget that he’s 6’5”. The second most exciting moment was the last-second shot that NEC’s Paige Pearson made to give the Pilgrim women a 54-53 win. I was watching that game at home on my computer and the GC women had a comfortable first half lead when I left. Seeing the referee, and then the athletic director, have to get involved with someone in the Gordon cheering section is embarrassing. I thought that cheering section was supposed to be a group effort. Soloists taunting opposing players and officials should not be allowed to give the cheering section a bad name. Speaking of “cheering,” only at Endicott would you get an entire section of students chanting, “Where’s your Bible?” as they did last year. Maybe some on the Gordon side could have pocket editions and produce them in response. Gordon is now alone at the top of the CCC. Six teams are in second with two losses. The Scots get to play three of them (Regis, Colby-Sawyer, UNE) among the eight games left in the regular season. One of the finest from Gordon’s immediate past (Jerry Logan) was in the house visiting his brother Jordan and hanging around for the Endicott game. You talk about a tireless defender!